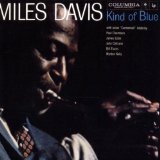 Kind Of Blue is ranked as the best album by Miles Davis. Members who like this album also like: The Black Saint And The Sinner Lady by Charles Mingus, Mingus Ah Um by Charles Mingus and The Freewheelin' Bob Dylan by Bob Dylan. Related links: top tracks by Miles Davistop tracks of the 1950s, top tracks of 1959. Showing latest 5 ratings for this album. | Show all 1,792 ratings for this album. I have to admit my ignorance. I don't get the hype about "Kind of Blue"
The most influential album of all time. A timeless masterpiece. Hugely influential, the tone is quite understated but lots of emotion on display. Jazz is surely the most important musical genre of the 20th century. And the album "Kind Of Blue" is by far the best jazz album of all time. Even if you do not like jazz, you have to love this incomparable masterpiece. The album is probably one of the coolest album of all time (still today, while this album at over 50 years old). Miles Davis conveys emotions through this record such as melancholy, romance, joy ... This album is also revolutionary for jazz, it is the inventor of modal jazz and the New Age movement. Miles Davis is actually an artist who touches me. This is my favorite musician: these melodies are so beautiful. He is a really important artist. I think this album is the greatest musical emotion of all my life. I even learned all the pieces of the record at the piano so much I'm a fan. I recommend this classic to 10000%. I'm just waiting for Jessica Rabbit to walk in with her red dress trailing behind her! All joking aside, this is a superb album with a real sleazy lounge bar feel about it in parts. That isn't a criticism by the way! On the right occasion, I love it and the rest of the time I engulf it! Kind of Blue is jazz for everyone. Not in a demeaning way to say that they're sellouts, but in that, it is very accessible and is highly effective at creating dreamy, jazzy moods. I can't say it moves me emotionally, but it is nonetheless highly enjoyable. Favourites: So What, Freddie Freeloader. There's no denying the incredible talent of every group member, and I think everyone should listen to this simply due to the massive significance this has if nothing else. Genial! Jazz absoluto, técnico e sentimental. While this album is something awesome, great tunes, great instrumentalists with a lot of groove, I dont consider it his best work. In a Silent Way remains Miles Davis best work for me... just cant get enough of that vibe that comes from it. Top Tracks: "So What", "Freddie Freeloader", "Blue in Green"
Amazing instrumentalists combining to create something incredibly innovative.